So awesome to have Sarah Schlote, founder of EQUUSOMA™ back on the podcast! 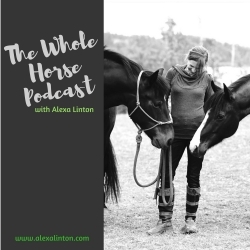 In this incredible follow-up episode (check out Episode 21 for an intro to her work), Sarah opens up about how Attachment theory applies to horse-human partnerships, the impact of stress and trauma, the process of “thawing out” that many horses experience when they’re moved into a new home and why it happens, the pitfalls of “anthropomorphism”, the importance of mammaliomorphism as a lens, and much much more. This podcast is full of cutting-edge resources (scroll down to find the list) – Sarah is as thorough as they come! Learn more about Sarah and her work at www.equusoma.com and www.sarahschlote.com. Anthropomorphic double-talk: Can animals be happy but not unhappy? No! First suckling: A crucial event for mother-young attachment?